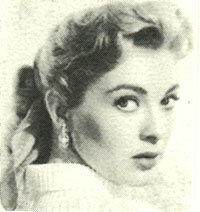 Signed to a term contract at Universal-International while still in her teens, Lori—real name Dixie Kay Nelson—soon became one of U.I.’s most popular stars, appearing in a wide range of parts—from Francis the Talking Mule and Ma & Pa Kettles, to “Revenge of the Creature” and dramas like “All I Desire” with Barbara Stanwyck. Married over 10 years to a retired Los Angeles policeman, Lori resumed her theatrical career, appearing in 1994 opposite Lloyd and Beau Bridges in “Sins of the Father”. 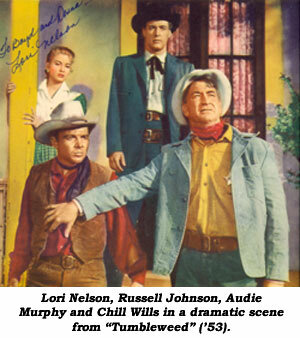 Movies: Bend of the River (‘52 Universal-International)—James Stewart; Tumbleweed (‘53 Universal-International)—Audie Murphy; Destry (‘54 Universal-International)— Audie Murphy; Mohawk (‘56 Republic)—Scott Brady; Pardners (‘56 Paramount)—Dean Martin/Jerry Lewis; Outlaw’s Son (‘57 United Artists)—Dane Clark. 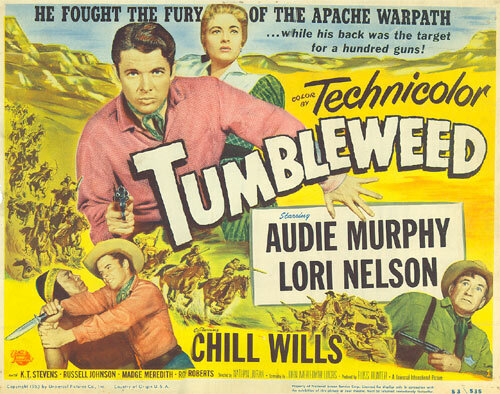 TV: Wanted Dead or Alive: Bounty for a Bride (‘59); The Texan: Man Hater (‘59); Wagon Train: Steele Family (‘59); Sugarfoot: The Gaucho (‘59); Tales of Wells Fargo: Relay Station (‘59); Laramie: Trigger Point (‘61); Whispering Smith: Double Eagle (‘61).